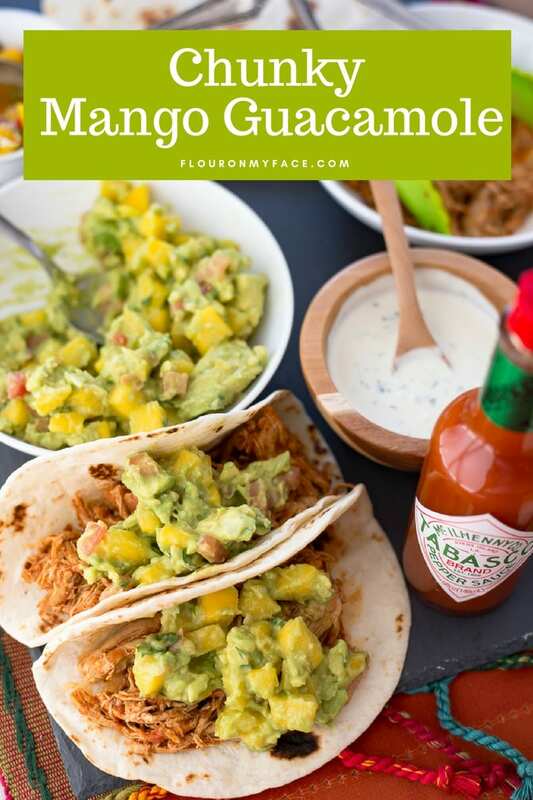 This Chunky Mango Guacamole recipe post was sponsored by Avocados From Mexico in partnership with the Mom It Forward Influencer Network. However, all thoughts and opinions are my own. It’s almost time for the BIG GAME and you know what that means! It’s Chunky Mango Guacamole time! As far as I am concerned you can never have enough avocado recipes on hand when you’re entertaining. 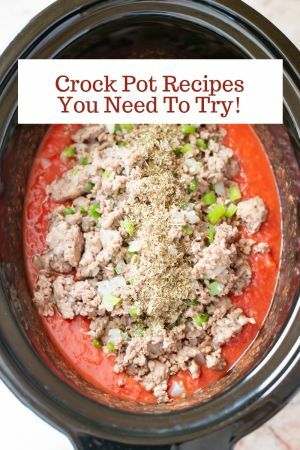 Whether you are sitting around watching your favorite team with friends and family during the BIG GAME and need to serve an easy appetizer recipe everyone will enjoy. Or you’re just trying to find a few new delicious recipes you will make with Avocados from Mexico you can’t go wrong with a bowl of guacamole. You can serve guacamole with just about any party food but my favorite way to eat homemade guacamole is with Mexican food. Chunky Mango Guacamole is such a versatile recipe. You can use it to top chicken tacos, you can use it to top a chicken taco salad. 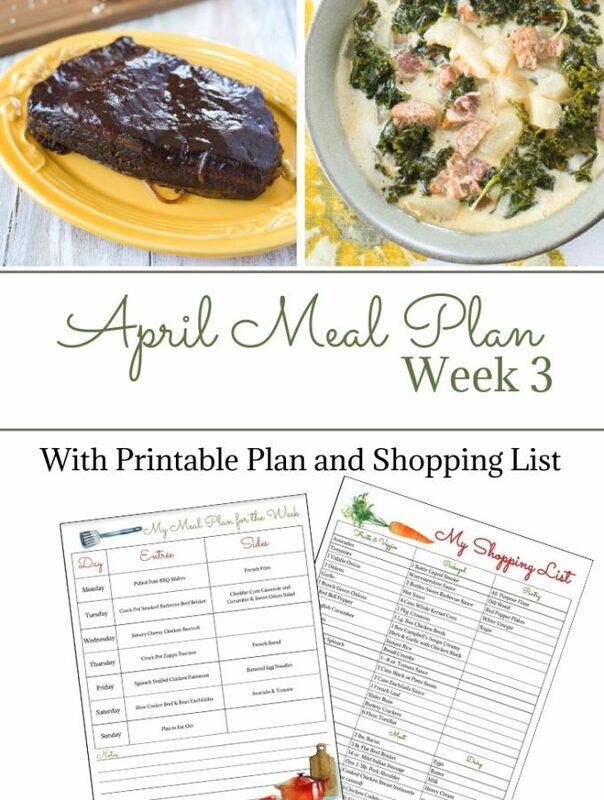 Or it can be used to top just about any of the recipes you have set out for your BIG Game party. Just fill a big bowl with homemade guacamole and put it on the table the the rest of the food and watch it disappear. 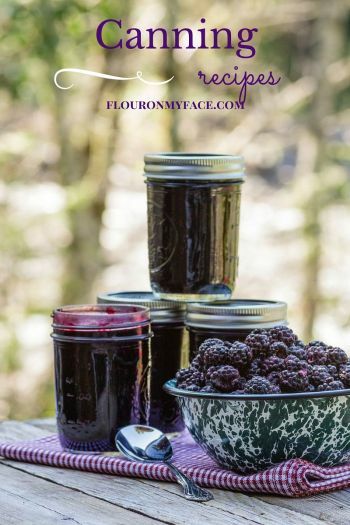 You may be surprised to see how your guests pile it on their food. Don’t forget to put out a bowl of chips with your guacamole. When you serve a big bowl of homemade chunky guacamole top it with sour cream, green onions and a splash or two of TABASCO® Sauce. You’ll be serving an easy and delicious all natural dip recipe and your guests won’t even realize they are snacking on a nutritious party dip made with natural ingredients like Avocados From Mexico and TABASCO® sauce. Traditional Guacamole is delicious but there are many ways to take this simple and delicious party recipe to the next level. 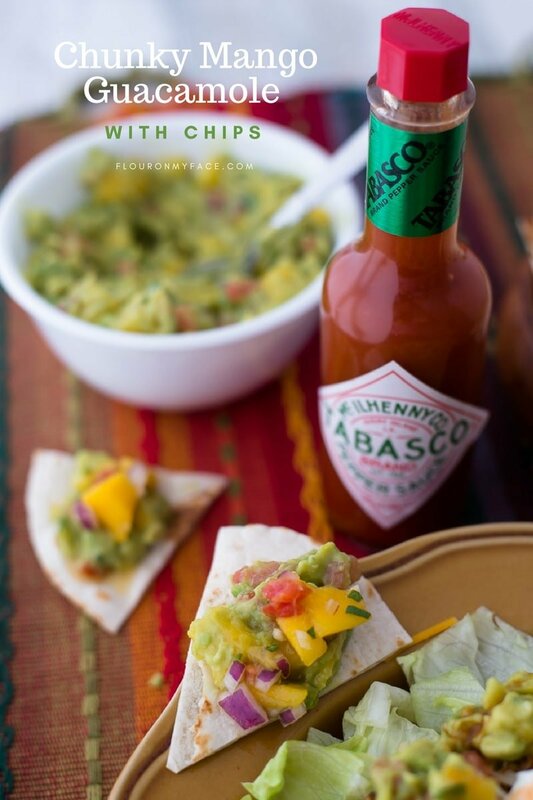 You can liven up the flavor of your homemade guacamole anytime by adding a splash of TABASCO® sauce with fresh mango to give your taste buds a surprise from the added fruity and spicy flavors. This Chunky Mango Guacamole is delicious and once you try it you will want to make it every time you need to serve a dip or appetizer recipe. 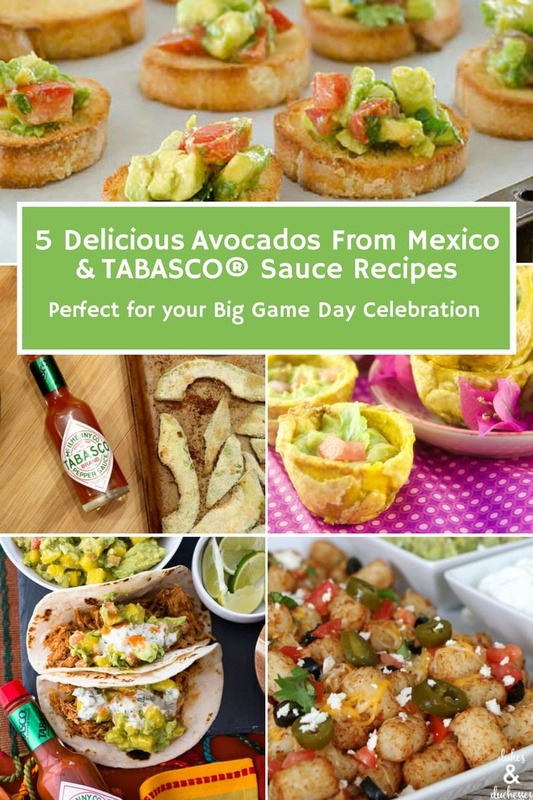 This year during all the BIG GAME fun I’ll be partying with some of my favorite food bloggers and we will all be sharing easy and delicious recipes featuring Avocados From Mexico and TABASCO® Sauce. 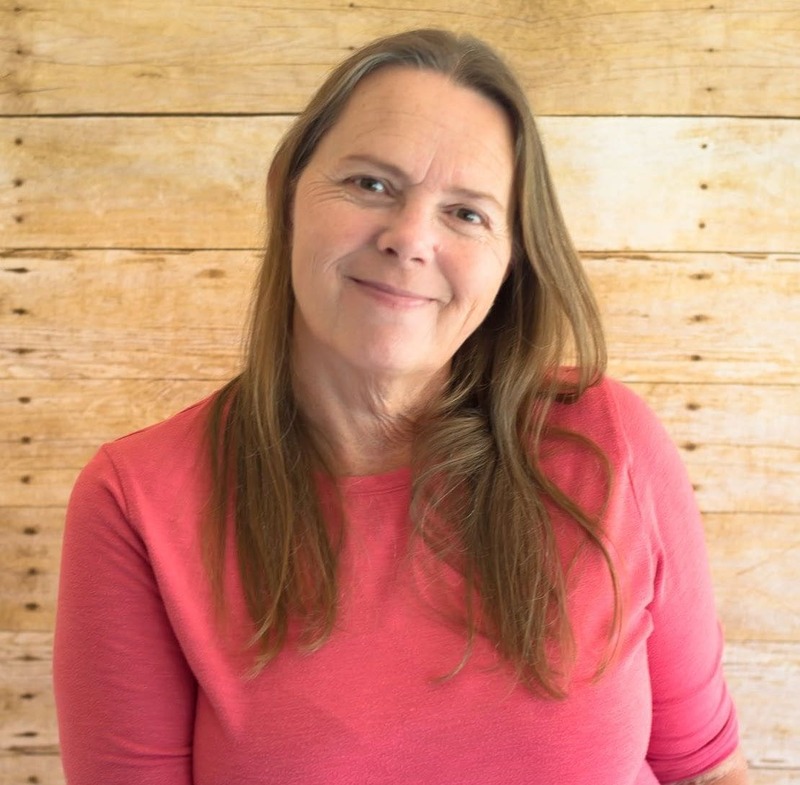 As an added bonus to the celebration you can enter for a chance to win a $1000 prize in this awesome giveaway all of the bloggers will be hosting. The best part is you can enter at each of the bloggers websites for more chances to win. Scroll to the Rafflecopter giveaway form for all the details on how to enter. 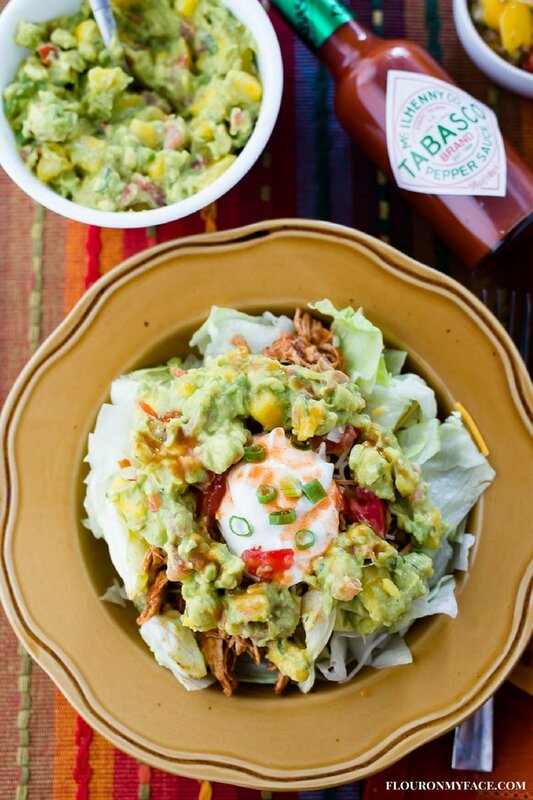 After you’ve entered the $1000 giveaway here click on the link to each of the bloggers below to check out their delicious recipes featuring Avocados From Mexico and TABASCO® Sauce. Then enter the giveaway on their website too! 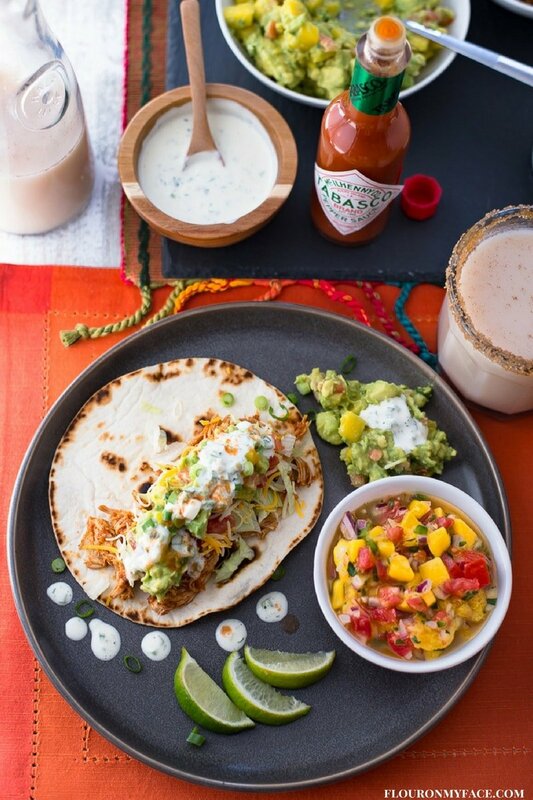 Whenever I am enjoying my favorite Mexican or Big Game recipes I love to have a bottle of TABASCO® Sauce nearby. 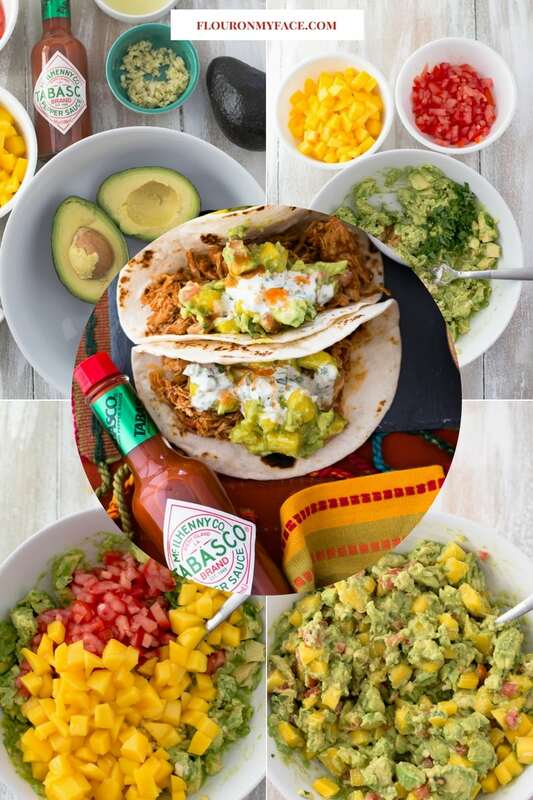 Just a few drops of TABASCO® sauce adds that extra little punch of flavor that will take all of your recipes to a new level. TABASCO® Sauce is made from 3 simple ingredients: vine ripened red Tabasco peppers, vinegar and a hint of salt. 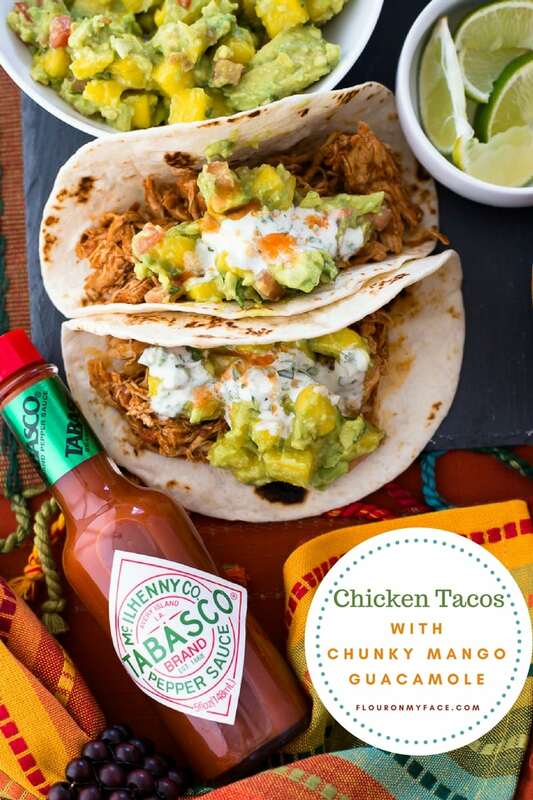 The TABASCO® Sauce mash is then marinated for almost three years in white oak barrels. The same exact way it has been for almost 150 years on Avery Island in South Louisiana before it is bottled. Each time you pick up and shake a drop or two of TABASCO® Sauce on your food you’re not only going to enjoy the rich flavors of the smokey Tabasco peppers, high quality vinegar and salt you are enjoying a piece of Louisiana history. For more delicious and easy BIG GAME guacamole recipes click here. Stay up to date with all things Avocado From Mexico and TABASCO® by following them on their social media accounts. Place the peeled and seeded avocado fruit in a large bowl. Using a fork or a potato masher roughly mash the avocado halves making sure to leave lots of chunks. Add the remaining ingredients to the bowl and gently fold until mixed in well with the avocado. Serve immediately or place plastic wrap flush to the top of the Mango Guacamole, tucking the edges around the inside edge of the bowl removing as much air as possible to help prevent browning. Refrigerate until ready to serve. Serve Chunky Mango Guacamole with your favorite Mexican food or with chips. Chunky Mango Guacamole recipe is perfect during the Big Game or just when you need to serve a delicious guacamole recipe at a party of family gathering. Chunky Mango Guac is delicious served with Mexican food or with chips. I would love to make the https://avocadosfrommexico.com/big-game/recipe/chorizo-guacamole/ at my next big get together. I though guacamole cannot be made better – I thought wrong! I love the addition of mangoes. And yes to lots and lots of Tabasco sauce! https://avocadosfrommexico.com/big-game/recipe/elotes-guacamole/ which is the Elotes Guacamole looks delicious! 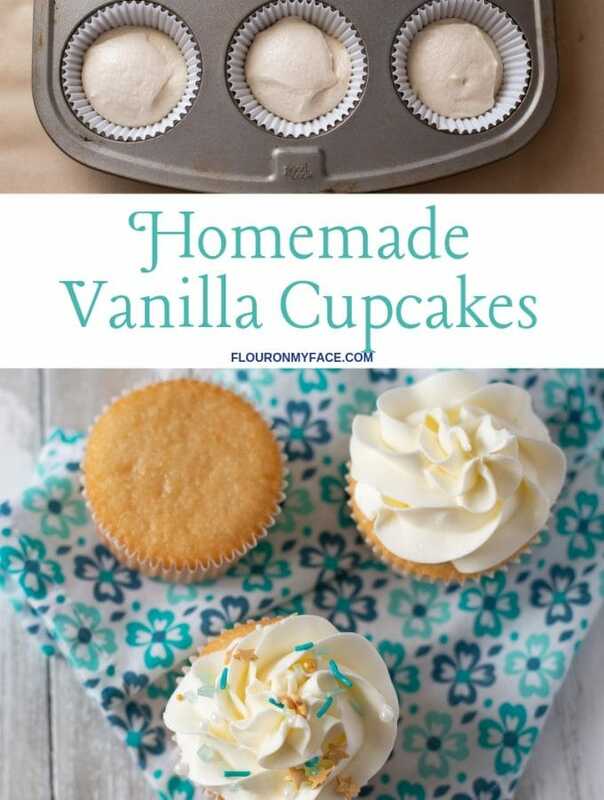 My husband and our friends would love this and I think I will make it for our Super Bowl party. Let’s hear it for chuncky guacamole. 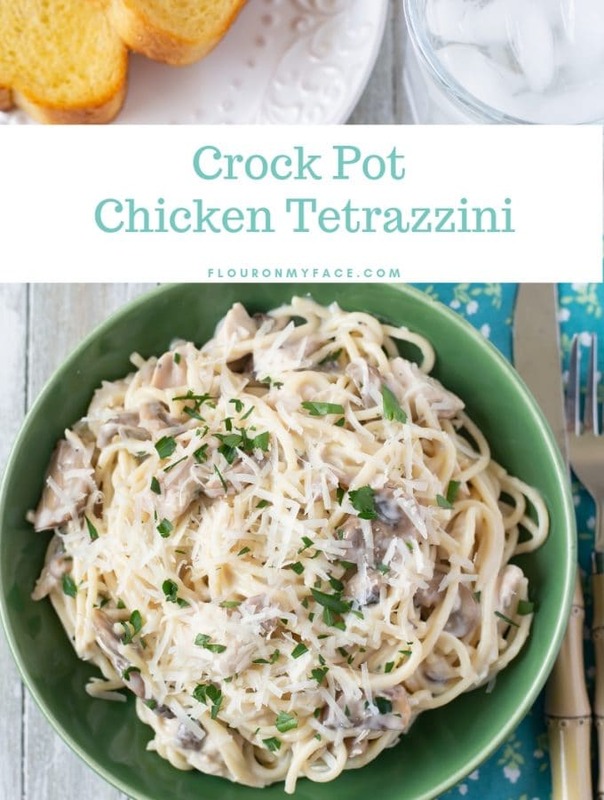 I really like how it smooths out the flavors of the dish. This dip was made for Super Bowl Sunday!! I bet the sweet mango in the dip takes it to the stratosphere. This would make a perfect treat for the super bowl. We love guacamole in our home and I’m always with my Tabasco bottle on the side because unlike the kids l love a little bit of zing. 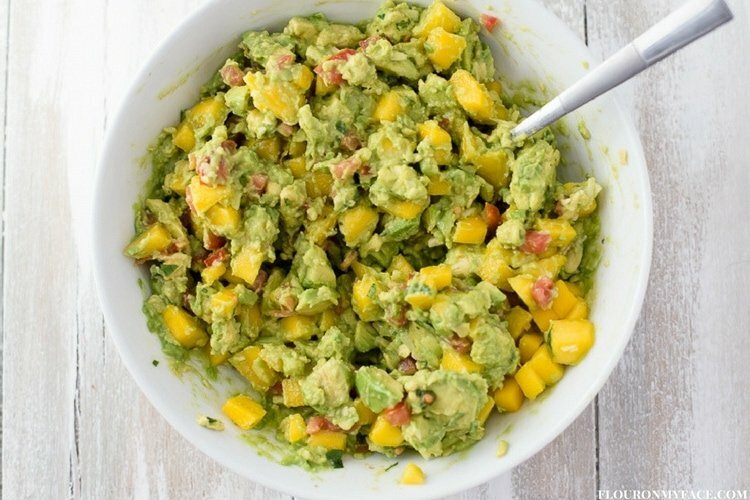 I have never had mango in guac before ….but I love that idea! You are making me so hungry right now I’m going to have an avocado for breakfast! Oh my goodness, my kids would love this! Lisa I’m so glad to hear that! I’m a late bloomer when it comes to avocado. Never had it until I was an adult because my mother was allergic. Now I love it and eat it at least a couple times a week. I love hearing that your children love it. Oh my yes. I have my favorite guacamole recipe, but this mango version looks spectacular! Thanks Michelle it is delicious!